Here for your reading pleasure is an article from a You Tube friend of mine.. Was such a great article that I asked his permission & have posted it here for your reading pleasure.. If you would like to check out more of Dales clips you can find his You Tube channel Easy Grows It here, & the site that the article come from goes by the same name & can be found at easygrowsit.com . If you, like many of us, grow lots of tomato plants for your garden every year, you start them from seed. Starting from seed can be tedious, time consuming and sometimes quite frustrating. 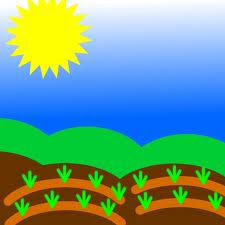 You have to plan ahead so your little crop is ready to plant when the time is right. This usually means starting your seeds from 6-8 weeks before it’s time to plant them in the garden. To start our seeds, some of us use 10″ x 20″ trays with cells for each seed. Others use anything from solo cups to microwave dishes from their last frozen dinner. It doesn’t matter what you grow them in, you’ll need to make sure they always get the proper amount of water, light and warmth to start them right. It requires a certain amount of attention at this stage and mistakes can set you back to the point of having to start over. Forget to water your little tomato plants and you could end up with plants that are stunted or dead and you could have to start all over. At some point in the process, you’ll need to transplant the little seedlings into larger containers at least once. Depending on how large you want them at planting time, maybe twice. As I said above, it can get a little tedious and time consuming, especially if you’re doing the same with other plants like peppers at the same time. The obvious alternative to growing tomato plants from seeds is to go buy small plants from a local nursery or home improvement store just before you need to put them out in the garden. Depending on how many plants you need, it can be quite expensive. If I remember correctly, last year the price of small tomato plants at home improvement stores were about US$3.50 each in 4 inch pots. If you bought a dozen plants, you were looking at around $42 plus tax. How many tomatoes would it take to make up for a $42 investment? That’s assuming all your plants survived to produce tomatoes. So, starting tomatoes from $1.50 worth of seeds is easily more economical although much more risky and difficult. Buying plants somewhere is much less risky but much more expensive. What if I told you that you could have the benefits of both choices without the huge monetary outlay and without having to monitor dozens of baby plants from seed? Would that be something that might interest you? If it is, please read on. For those of you that do not know much about tomatoes and tomato plants, let me give you a little background information before I move on. Tomatoes are actually a fruit, not a vegetable. I, like many, was not aware of this fact for quite some time and I was quite surprised to hear that. Tomato plants are actually vines, unlike, say, a bell pepper plant, which is technically a tree. Tomatoes grow new baby plants at the intersection where a branch and the main stem meets. This intersection is typically called a crotch and the new baby plant that develops there is usually called a sucker. I am sure there is probably a more scientific name but gardeners usually call it a sucker because it takes energy away from the main plant to grow this new baby plant. Remember, a tomato plant is a vine and vines like to spread all over. Some tomato growers remove these suckers and others like to leave them on. I’ll leave that subject for another article. Picture of a sucker growing from a tomato plant courtesy of mhpgardener of You Tube. At this point, you might be saying to yourself, “This is all very interesting and good but what does all this have to do with how I get a bunch of tomato plants to plant in my garden?” I appreciate your patience dear reader and now that I have explained enough background information, let’s get to the point. Suckers, as I said, are baby tomato plants. It’s like a another tomato plant growing out of the main tomato plant, which is called the mother plant. If you would snip off a decent sized sucker (six inches long or longer with a few full sets of leaves) from the mother plant and stick the bottom of the sucker in water, in a matter of three days to a couple of weeks, depending on the variety of tomato plant, you should see roots develop under and at the water line. Once they start to develop roots, those roots will grow at a very rapid rate. This is called “rooting” a plant. It’s also called “cloning”. After the roots get a few inches long (don’t let them get too out of hand) you can transplant the new tomato plant into soil and it will grow like any other tomato plant in soil. Now, the really amazing as well as useful part of this whole process is that not only does the new sucker derived plant give you a whole new plant to grow, it doesn’t know it’s a new plant. To it, it’s a fully developed tomato plant, not a 6 week old baby plant that grew from seed and is still maturing. If the mother plant is three months old, the sucker is just as mature, just smaller. It’s ready to put on flowers and start bearing fruit right away unlike it’s six week old, grown from seed counterpart. So now, let’s put it all together. If you needed a dozen or so tomato plants, instead of planting twelve seeds 6-8 weeks ahead of time, you could grow one or two mother plants a month or two earlier than that so they have suckers a few weeks before you needed plants to put in the garden. Not only will the sucker derived plants be more mature and ready to start producing right away, you’d be using less seeds and can still get more suckers later from the mother plant in case something terrible happens to your garden such as hail storm. The mother plant will continue to keep making suckers for you in case you need them. I almost forgot! There’s another reason to generate plants this way. Not only will the mother plant give you lots of baby plants, chances are, depending on when you started your mother plant, it will also give you tomatoes as well by the time you start setting your new plants out in the garden. Don't forget to check out Dale's You Tube channel & Web site.. Thank you for posting this. I'm going to check out the you tube channel. Looks like there is plenty of information there. I have some tomatoes that haven't fruited this year but are still trying to put out new shoots. I had the idea I would make mini greenhouses for them out of a plastic bag and try to get them over the winter - I'm in Victoria so the winter shouldn't be too bad. Hopefully they will grow plenty of suckers so I can experiment. I like the idea of trying small greenhouses over the plants..
Good luck with the sucker striking.. Both Bobby & Dale's channels are worth the look for great tips..